Christian writing has many positive aspects. You can inform, persuade and inspire. That is Christian writing at its finest. This book allows you to learn how to do all three by writing the history of your local church or another church in your area. There are nearly 500,000 churches in the U.S. according to the Gallup organization, and virtually all could benefit from having their history documented. 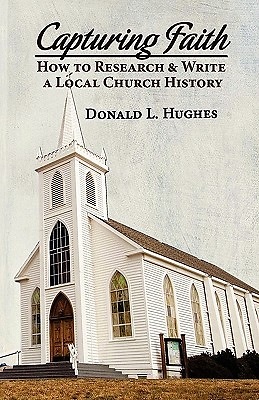 This book provides step-by-step details for researching, writing and marketing a local church history. It is ideal for church volunteers or professional writers. Capturing Faith: How to Research & Write a Local Church History is ideal for new Christian writers because they can write their first book for love or for money. The author provides details about how Christian writers can get a contract from a local church to write a history, and the steps needed to publish it. - Links to resources that will help you write a better church history.